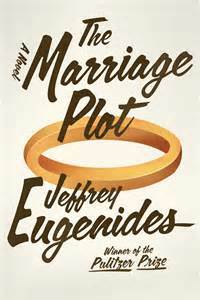 At any rate, The Marriage Plot is a very self-consciously intellectual novel in both subject matter and structure; the main characters are all graduates of Brown and they sit around contemplating (in a joking but not really joking manner) what it would be like for their last names to become adjectives (a la “Shakesperian”). And although it’s essentially a love story, it’s also a coming of age story, and a story about whether or not love stores are indeed the most important stories of our lives. The characters ask (and the plot forces us to consider) can novels exist without romantic love? 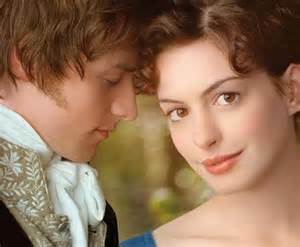 Would fiction, as a genre, be possible without the convention of “the marriage plot,” (in which happy ending are synonymous with proposals and weddings) as typified by writers like Jane Austen? The ending is simultaneously disappointing and liberating and Eugenides, tricky genius that he is, hammers his point home by leaving us to wonder why we’re disappointed by the ending—the heroine is better off than she once was, isn’t she? She’s taking her place in the world, isn’t she? Shouldn’t the feminists amongst us rejoice at this unconventional definition of happily-ever-after? The liberating part, though, is this: there is life beyond the happily-ever-after, beyond the conclusion of “the marriage plot” and even though it may seem pretty obvious and self-explanatory to some, it strikes me as a rather brilliant revelation, especially as I find myself heading towards my own “happy ending” and realizing, with a lightning bolt of happiness that strikes me to my very core, that this “ending” is really just the beginning of something extraordinary. I’ll admit it: this past fall, before I met PIC, I was looking forward to getting back into online dating. I was looking forward to creating a new profile, uploading new photographs, crafting an entirely new image of myself online and finally—at long last—getting to blog about dating again. I had it all figured out. I knew, for example, that the PR folks over at Match.com would give me a free subscription because they’d already offered to do so. I knew, based on my research, that the time between Christmas and Valentine’s Day would yield the most “fruit” (because people get sick of pesky relatives asking about significant others over the holidays and make New Year’s resolutions to kick start their love lives). I knew I’d be in a different bracket; that as a home owner, travel writer and anthropology professor, I’d have access to a higher echelon of men than I did when I was 24 and working dead-end retail. And regardless of the evidence to contradict this belief (going right back to the opening line of Pride and Prejudice, written by the great Jane herself) I knew I would enjoy the search: the planning of outfits, the late night cab rides, the ups and downs, the gut wrenching disappointments and the swells of hope—essentially all the minutia of the marriage plot. 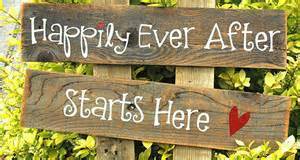 The thing that nobody tells you—the thing that the marriage plot ignores— is that real happiness begins after you find the one. I’ve always loved dating, despite the inevitable messiness. I honestly don’t understand people who don’t like dating or see it as a chore or some sort of “necessary evil” that must be endured. But I can honestly say, for perhaps the first time in my life, that I don’t miss it. I don’t care that I’ll never write that new profile, upload those new photos or rub elbows with that (probably imaginary) “higher echelon” of men because my priorities have completely shifted. It’s no longer about collecting phone numbers or meeting strangers for cocktails (and although I should probably be ashamed to admit that it was, I’m not. I was still figuring myself out; I was still searching for the particular iteration of feminism that resonated with me and I had to make a few mistakes to get it right). Now it’s about building a life with someone, a life that allows me to be a better version of myself, that doesn’t eclipse me for the sake of us. Sure, there will be cocktails but I’ve learned that they’re more fun when consumed with one’s girlfriends. More importantly, there will be love: Partnership. Respect. Support. Mornings spent in bed and mornings spent not-in-bed, and both will be equally grand. I feel like I’ve finally cracked the code, and it had nothing to do with spreadsheets or outfits or online dating algorithms. It was instead the simple realization that with this one, this time, the happy ending is actually just the beginning of an infinitely better story. I can second the “awww”! But I also agree with the sentiments about the book: Writing something as brilliant as Middlesex must be pretty pretty hard, and The Marriage Plot was definitely nowhere near. Yes! I am glad I am not the only one who thinks this- I keep bugging my local friends to read them both so we can discuss! I really love this piece. Its self-inspiring. Kudos to you and don’t forget to share…..
2) you rock. In some other version of my life, I would be writing such a similar post to this, and the fact that you’re living it is so inspiring to me. Aww, thank you! This was one of those posts that I just had to get out. I’ll be eager to hear what you think of the book! Happy reading.